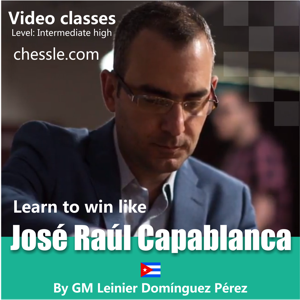 It is not hard to imagine that the cuban gran master Leinier Dominguez Perez have been strongly influenced and inspirared by José Raúl Capablanca, considered by many one of the best chez players of all times. Learn how studying great champions such as Capablanca influence grand masters of the modern elite. 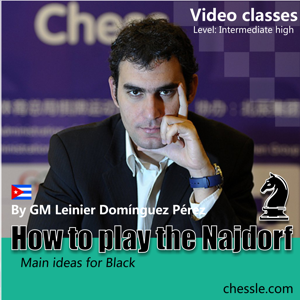 In this serie, Leinier shows all that he learn from José Raúl Capablanca including examples from his very own games. 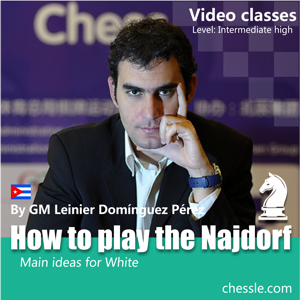 Leinier teach how to get the maximum from your chess training and the esenctial secrets to advance in chess. By the use of well selected examples, the cuban grand master share very interesting and enriching situations. On the other hand, you will be constantly challeged to use your analytics skills. Do not miss this oportunity to get direct advices from one super GM of modern times! Buy the full serie since now and save $9.91 USD. New videos are available every week.